Roth Estate Winery has been dedicated to crafting bold expressions of luxury Bordeaux varietals from Sonoma County’s best AVAs – and their commitment has paid off as they received three new acclaims for some of their recently released wines. Learn more about these recent award-winners and add them to your wine collection today. The SF Chronicle Wine Competition is the largest wine competition of American wines in the world, boasting over 60 professional judges representing various North American wine regions, evaluating almost 7,000 wines from over 1,100 wineries. Even with an incredible amount of competition, the 2016 Roth Cabernet Sauvignon stood out amongst the others and took home Double Gold along with high praise from judges. The Roth Estate Cabernet Sauvignon is made from select vineyard sites within the southernmost hillsides of the Alexander Valley and is a true reflection of Roth's passion for the noble Cabernet grape. The 2016 vintage is bold, full-bodied, and rich. Dark in color, it displays mighty aromas of black cherry, cassis, wet stone, and sweet oak. Rich and layered flavors of red currant, blackberry, dark chocolate and vanilla complement the firm tannins, gaining power as the wine moves across the palate. Structured, and powerful, this Cabernet lingers on the finish. The 2016 Cabernet Sauvignon wasn't the only Roth Estate wine to turn heads at the SF Chronicle Wine Competition this year. The 2016 Roth Heritage Red, which is a bold blend of some of the winery's favorite regions throughout the southeastern parts of Sonoma County, "celebrates the perseverant and relentless spirit of our forefathers" and is noted as a tribute to the winery's proud heritage, commemorating the many bold journeys that shaped our great country. The 2016 vintage is deep ruby in color and offers luscious aromas of boysenberry, cocoa dust and a hint of black pepper. On the palate, bold tannins are balanced by decadent flavors of blackberry, blueberry and white chocolate with hints of vanilla and toasted oak. BOLD. UNAPOLOGETIC. 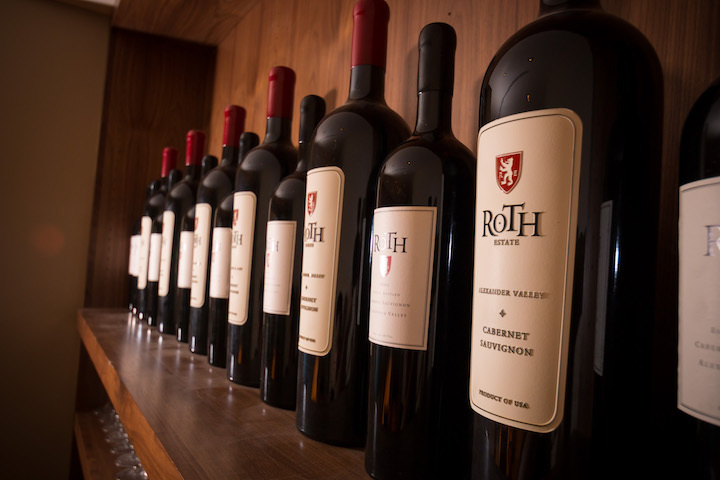 Roth Estate is a bold expression of luxury Bordeaux varietals from Sonoma County’s best AVA’s. The winery was founded to honor the bold character and relentless spirit that brought the founder’s family to America. In 2001, Roth started producing Cabernet Sauvignon blends from exceptional hillside locations in the famed Alexander Valley and soon established a cult following to warrant its own winery, caves and tasting room in Healdsburg. Today, Roth has grown to be recognized for its history of high acclaim and strong commitment to producing bold, powerful Bordeaux wines with the truest and best expression of the land. Ready to add Roth Estate wines to your cellar? Shop all offerings on the Foley Food & Wine Society Wine Shop.